How to find a bestselling Amazon FBA private label product, including a detailed breakdown of all the attributes to look for in your research. This post is by Chris Rawlings, CEO and Co-founder of Judolaunch. You need a great quality product that people are interested in buying. Knowing exactly how to find, research, and assess a potential private label product is the key that can unlock the door to Amazon riches. You’ll also need to know if that product is viable in the marketplace. Once you’ve sorted that out, you’ll be well on your way to a successful launch. 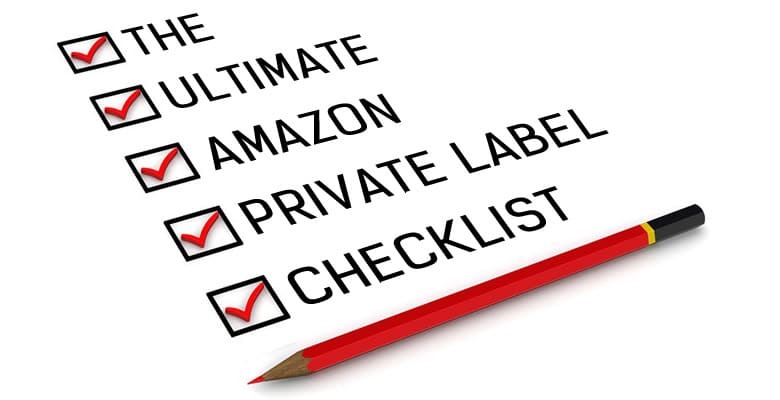 In this article, we’ve put together The Ultimate Amazon Private Label Checklist so that you won’t miss a step on your road to taking advantage of the enormous opportunity of Amazon private label selling. What is Amazon private label selling? To set the scene, let’s first go over the basics of private label selling. Private label products are existing products made by a manufacturer with your brand name on them. In the case of Amazon FBA, these are often generic products that are already selling well on Amazon, which are then sourced, re-branded, re-marketed, and draped in new packaging and logos. One of the essential qualities of a great private label product is that is unique. This comes in the form of new features, colors, sizes, options, higher quality, better pricing, etc. Once you have modified and branded your private label product, it is your invention and can be both patented and trademarked. Private labeling is a growing and popular business. Most major retailers engage in private labeling, selling their store brands on the shelves alongside national brands. As an example of how this works in Amazon FBA, you find a generic product selling on Amazon (a Bluetooth speaker). You contact the manufacturer of the speaker, have it made in a new color (blue) with your brand name on it, then list and sell it under your Amazon private label. The product is ordered from China, shipped to Amazon, and they handle the rest. The key thing to remember when creating a private label product is how to make your brand stand out from the crowd, and offer real value to your target market. This will create the relationship you need between your brand and its customers to drive sales. Build trust – Your private label will be the basis of building a trusting relationship with your customers, giving them what they need and more – so that they come back again and again. Increased control – By selling your own brand, you have full control over packaging, labeling, manufacturing, and ultimately the quality of your products. You’ll be the one setting all the rules for your brand and business. You can build your brand as you see fit. Less worry – If you’ve done your research right, you’ll be working with a product where you already know what to expect in terms of quality, the manufacturer, and the target customers. It won’t be such a crapshoot when you launch – in fact, it will be the opposite. More profits – Instead of selling a “name” brand product, you sell your brand, allowing you to bypass middlemen and vendors. This leads to greatly increased margins. You also get full control over pricing. Reduced competition – If you choose to sell an Amazon private label product in smaller niche category, you’ll avoid having to compete with large companies for sales. You have the opportunity to become the go-to product in your niche. As you can see, there’s quite a lot of freedom and opportunity in a private label product. Now let’s learn how to pick a winning product. The number of potential products you could choose to sell on Amazon is almost limitless. You’ll also be choosing a product niche with profitable potential. You’re basically looking for the intersection of what you’re interested in, and what Amazon has to offer. When it comes to choosing a product, you’re not trying to reinvent the wheel – you want to find a product with high sales volume that can be customized to create your own in-demand private label version. The ideal product is an evergreen item that will establish steady cash flow. It’s best to start with choosing only one product, and see if you have sufficient demand for that product while also leaving yourself room to expand the brand line at a later time. When researching your product, a combination of manual and automated searching is best. Automated tools will save you many hours and give you accurate metrics about products in seconds. You’ll gain valuable insights and be able to quickly access data such as daily sales, keywords and phrases, total reviews, profitable product categories, price, rank, and more. It’s best to use more than one in order to get a more accurate picture of the product and the competition. While Amazon does provide a free tool in your portal, it only gives very basic information. To conduct a thorough analysis of your product and the market (more on that later), it’s a good idea to invest in a couple of our favorite online product research tools. MerchantWords – An excellent tool that works in every Amazon country. It collects data from real buyers on Amazon and can help you spot trends and profitable keyword opportunities. Keyword Inspector and Sonar – Worth it just for the unique Reverse ASIN function. These tools allow you to enter the ASIN of the top-selling product in your category, then get all the keywords people are using to bring them to that listing. AMZ One – A cheaper version of AMZ Tracker, it provides advanced keyword tool options. AMZ Tracker is also a recommended option, depending on your budget. Jungle Scout – An Amazon product finder delivering metrics like price, rank, weight, and rating by searching a large database of products. Also great for hunting down a product niche. Unicorn Smasher – Handy for tracking your competitors’ inventory, and also free. Here are the steps to take to research your product. Create a list of products that are used with the interests you listed above. Try to get at least 10 or so for each category. Use catalogs, newsletters, websites, Google, trade publications, etc. to help come up with ideas if you are stuck. Other sources of inspiration for your initial product ideas could be: traveling, items seen at retail stores or supermarkets, blogs, trade shows or conventions, Alibaba.com or Jet.com. This process gives you an initial list of ideas to work with. You’re going to be selling on Amazon, so it’s essential to search the Amazon marketplace to figure out what’s selling well. While searching Amazon, you’re looking for products that fit into your categories of interest, or that jump out at you during your Amazon search. Add these products to your list. Amazon Best Sellers – Hourly updated listing of Amazon’s most popular products based on sales. You can search by department/category and see what has been selling the best over time. Amazon Hot New Releases – Hourly updated listing of Amazon’s best-selling new and future releases. Again, you can drill down by department/category and find the hottest new products. This is what is in demand now, but be forewarned that it may not last over time. Amazon Movers & Shakers – A listing of the biggest gainers in sales rank over the past 24 hours, and updated hourly. Here you’ll find the hottest trending products. Amazon Most Wished For – These are the products most often added to Wishlists and Registries, updated daily. A good indicator of what people REALLY want. Amazon Gift Ideas – The most popular items purchased as gifts, this list is updated daily, and is a strong indicator of what products are currently popular. When going through products by category, keep in mind that beyond the top 20 sellers, no one else is getting a significant piece of the pie. Focus on the top sellers and ignore the rest. By now you should have a pretty solid list going. Before you dive into the deep research on your product, let’s refine your product list by eliminating items that either meet or don’t meet specific criteria. There are many categories and product qualities that make for a poor FBA choice. Some are categories dominated by major companies, others are not consistent enough in year-round sales, others are digital products or owned by Amazon. If any of the products on your list fall under these choices, go ahead and cross it off – you’ll be saving yourself a lot of time, money, and headaches later. Any product that is already trademarked, copyrighted, or patented – These require permission and often expensive licensing. Now that you’ve eliminated the obvious duds from your list, it’s time to go further and identify the keepers. What follows is a basic list of ideal criteria for an Amazon private label product. Keep the products on your list that fit the bill, and cross off the rest. Automated tools will be helpful for parts of this step. Favored categories – These are consistent top-selling categories on Amazon. If your product idea is in one of these departments, you have a higher chance of sales success. Price – Between $20-60 is the sweet spot. You’re going for the perfect price where your product is affordable to the buyer, but your margin enables you to make a profit; while simultaneously, buying new inventory won’t be prohibitively expensive. A minimum 30% profit margin is advisable. Weight and size – Ideally, your product will be under 2 lbs. and under 20” x 18” x 14” in size. This will save money on shipping costs and Amazon FBA fees. Simple and durable – Easier to make and source, and fewer returns. Private label potential – The space for your product is not dominated by large name brands, allowing the potential for your private label to take control of the niche. Also, your product can be customized easily – if the product has room for improvement, even better. Consider if there is room to create a whole line of products for your brand around this one. BSR (bestsellers rank) – Aim for 500-5000. The BSR shows where products are ranked within their categories based on their sales volume. This will let you know, in general terms, that the product can generate enough demand to be sustainable. Reviews – 500 or fewer. This indicates low to moderate competition in the category. Initial order purchase – You want to be able to purchase less than 500 units. What is needed initially is enough inventory to cover your sales and promotions. Too much inventory can kill your profit, and you don’t want to drop a lot of money into a new product. It’s better to be able to minimize risk all the way around. Reorder potential – If your product is the kind that lends itself to reorders, such as supplements, you’ll get recurring sales. Gift purchase – If the product can be purchased as a gift, this will also help sales long-term. Clever packaging can help drive gift purchases on selected items. Now that we’ve narrowed down your initial list into one with serious potential, let’s take a look at how people will find your product. One of the most important factors in sales of your product is identifying its main keyword. Search on Amazon drives your sales, as customers input terms like “dog bowl” into the search bar. Using your chosen tools, carefully identify the main keyword for your product. Eliminate products from your list that have over-saturated keywords or low-performing keywords. Consider changing the keywords on over-saturated products to something more descriptive, if the product otherwise meets all the criteria so far (for instance, “travel dog bowl”). Also identify the top secondary keywords for your products, and make note of the search volume for all keywords. If your ideal customer would search for your item under multiple keywords, this is a good indicator of product success and higher sales. Now that we have a robust and small list of products, let’s analyze the marketplace to see how they measure up to the competition. It’s time to put your potential products to the test – by comparing them to the competition, and within their niche. Market research is crucial to determining the saleability of your product. You’re going to need your software tools to dig into the data. You’ll also notice that some of the criteria we’re going to look at is the same as we used to select your product in 3B above. This makes sense, because we want to be playing in the same field as the competition. You don’t want to compete against a major manufacturer. Better to find a smaller niche with less competition. Make sure your pricing is within the same range as the competition. You’ll need margin to pay for marketing. Low price and high volume only works for big retailers. This should be under 10,000 for each of the top three items in the category. This ensures demand of approximately 4-6 items per day. There should be less than 400 reviews for each of the first three items. Do other products on the first page have less than 100 reviews? Reviews are critical for organic sales. Good marketing will give you a chance to overtake 400 for the top spot on the page, and if 12 of the next 17 products have less than 100 reviews, you have a very good chance at getting on the first page of search. Does the market have multiple keywords? The more keywords, the better. This equates to more sales. It’s also a great sign if the top three keywords for the product have a combined search volume of over 100k per month. 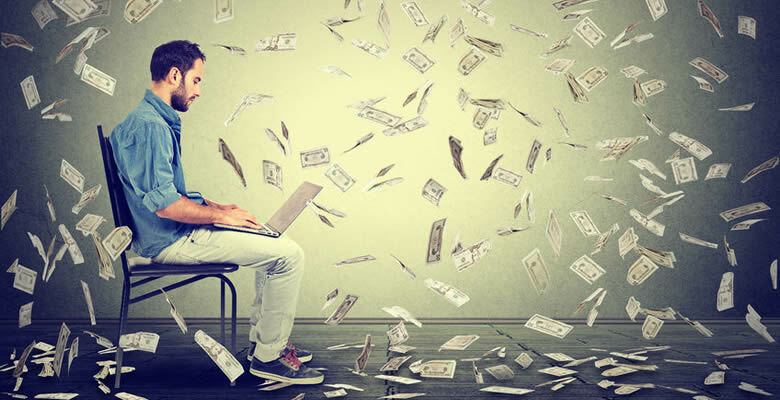 If the competition is using all the Amazon pay per click ad spots on the page, it means they are making money – and that there’s money to be made in that market. Will your product be viable in multiple Amazon international markets? If so, this is a great sign that you’ve found a winning product. Selling a product around the world is a sure path to higher sales. Having an experienced seller or sellers in the top three listings (defined as having good copy, description, and pictures in the listing) validates that this particular product is selling. There’s an opportunity to make money in this market if other people are doing so. Look closely at the reviews of the competition. Parse the negative ones to determine what was not liked about the product. 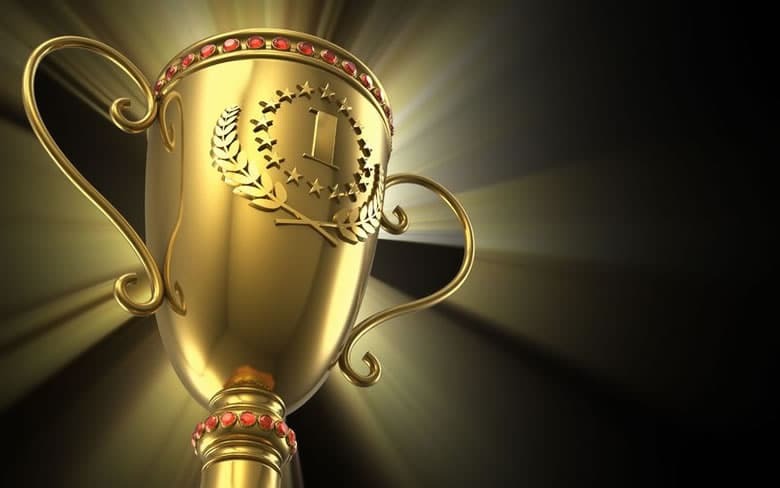 Is there something you can add, modify, or customize in order to take advantage of the competition’s shortfalls and create a product more satisfying to customers? Is there an opportunity to add extra value to the product? These kind of customizations are the heart of private label FBA, and are what will set your product apart from all the others. If you can make a product better than anything else on the market, you can dominate your niche. Check the first page of Google for the main product keyword. Is there a product video there? If not, you could get your product ranked in Google searches by creating a YouTube channel and posting product demo videos. Your Amazon product page would receive increased traffic from links in the video. If customers can’t find your product in the local big box store, you’ve created scarcity and an exclusivity with your product on its Amazon page that will drive online sales. Now that we’ve seen how your product fits within the marketplace, you should be down to only a very few potential products. Let’s look at the final piece of the puzzle – and the most important piece. Will your product make money? This is the the most vital step in deciding which product to move forward with for your Amazon private label business – determining which one will make you the most money. The deciding factor will be examining the margins on your remaining products. Yes, there will be math. You’re going to do this by analyzing the two most variable product costs: production and shipping. Obviously, your costs will vary depending on the product. What we can offer are some actionable tips for getting the best value in the production of your product. Take these under advisement when determining the production cost for the remaining products on your list. Find the right supplier. You want to find the best possible cost to quality ratio in your private label manufacturer. The goal is not to sacrifice quality, while maintaining a healthy margin. If they are easy to work with, reliable, have a good attitude, and good English skills – even better! Reach out to your network of Amazon sellers to get recommendations on good suppliers. Doubling your margins is possible with the right supplier. Choose carefully, use your network, and keep high standards. Again, these costs can vary based on size and weight of product, distance and method of shipping, and other factors including recently imposed tariffs. Your goal is cost certainty, as shipping cost can quickly eat up your margins. Traditional logistics companies are well known for quoting one price and charging another upon delivery. Use your network for recommendations on quality shippers. Flexport is a solid choice for ocean-port freight. They’re a competitive logistics company that provides accurate quotes as well as transparency throughout the entire shipment process. It’s not a bad idea to build in some leeway when estimating your shipping costs for purposes of product selection. Now you have all the necessary information. You know which of your potential products is most viable, which has the best opportunity in the marketplace, and which has the most profitable margins. It’s time to take action – choose your product! Congratulations! You’ve chosen a winning FBA product with a lot of promise, one with real potential to dominate the niche and generate impressive sales. So…. what do you do next? The next step is a powerful Amazon product launch. This is a strategy to kickstart your sales, boost your ranking, and get great reviews. The goal is to land your product on page one for its keyword. This will create increased visibility and bolster organic sales traffic. In short, a properly executed launch with the right product is key to long-term sales success. Now that you know how to find a winning Amazon FBA private label product, you’re well on your way to launching something special that your customers don’t even know they want yet. Go out there and make Warren proud! This post was by Chris Rawlings, CEO and co-founder of Judolaunch. Chris quit his job and started a private label brand while motorcycling across New Zealand. He created Judolaunch to help other brands launch their private label products on marketplaces around the world. Click here to schedule a call with a Judolaunch Amazon expert.